Riverside Plaza consists of 1,303 rental units that house over 4,000 individuals in the Cedar Riverside neighborhood of Minneapolis. 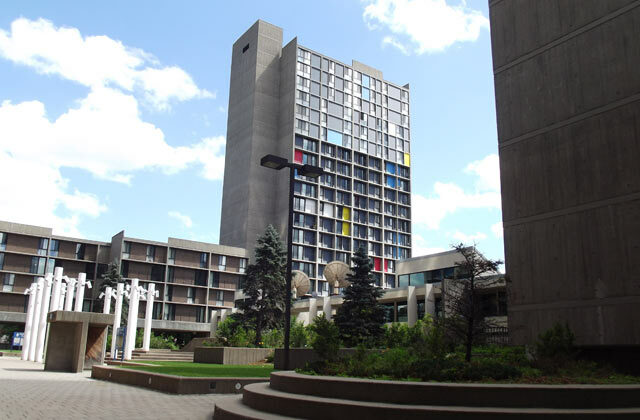 This 11 building campus, designed by Architect Ralph Rapson, in 1974 was renovated by Sherman Associates over a 5 year process. Alliant’s survey group performed surveys of easements to assist in the resolution of issues with neighboring properties, ALTA/ACSM land title surveys, design location surveys and an as-built ALTA/ACSM survey at the conclusion of the project.